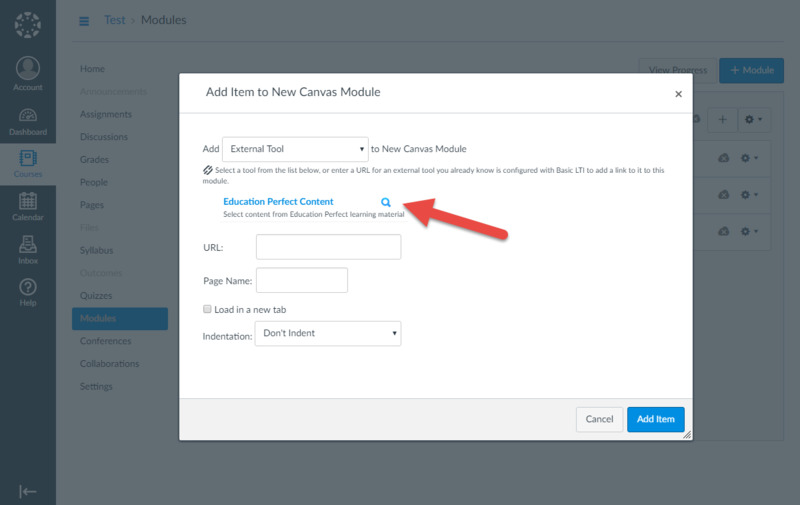 How do I embed content, tasks and assessments in Canvas? 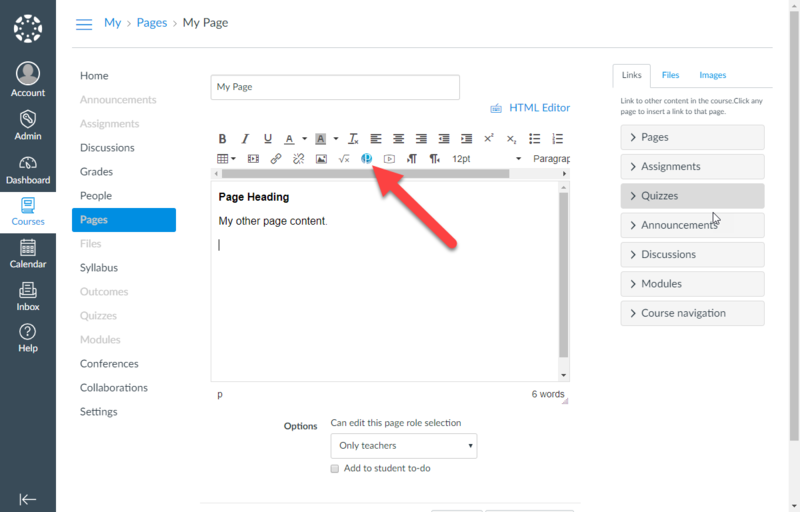 Content can be embedded in a Canvas Page, or as a Module, in two ways: by browsing the Content Library from within Canvas, or by copying a link to a lesson, task or assessment from the Control Panel. Choose External Tool from the drop-down menu. 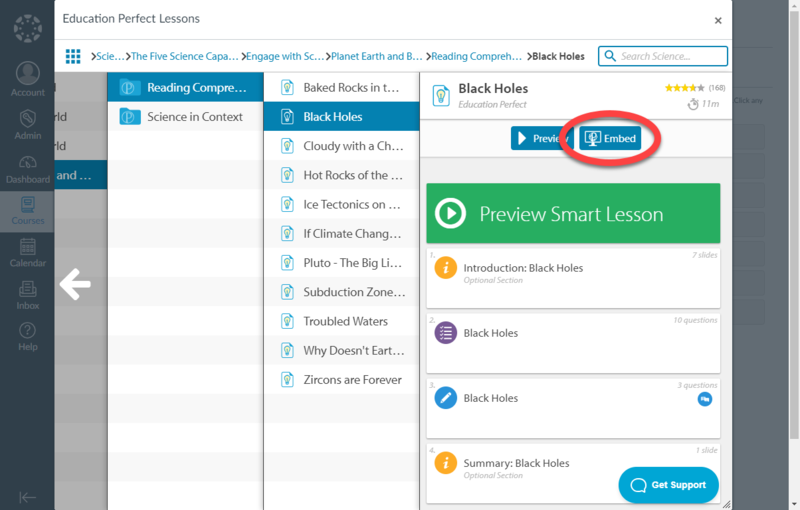 Browse to the list or lesson you want your students to complete, then click the Embed button. Copy the LMS link from the Control Panel (for more information, see How do I get links to content, tasks and assessments?). 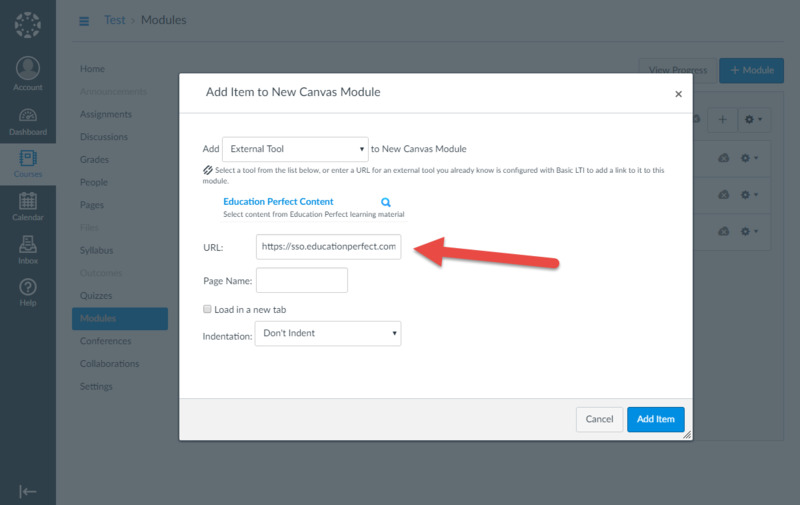 On the Add Item to New Canvas Module page, paste the link into the URL box. After selecting a lesson from the Content Picker or pasting a link into the URL box, give the lesson a name in the Page Name text. Finally, click Add Item. To view your students' results on a Smart Lesson, load the page you have created and click Student Progress. You will be taken to the Control Panel where you can view your students' progress, answers, common mistakes and more. You can view task and assessment results in the Control Panel. Only embed Education Perfect with each canvas page once- embedding multiple times in the same page will cause unexpected logouts as it will appear to our system that your students are attempting to used Education Perfect in multiple tabs/ windows at once. Open the page in the editor and place your cursor at the point you'd like to insert the lesson and click the Education Perfect logo in the toolbar. 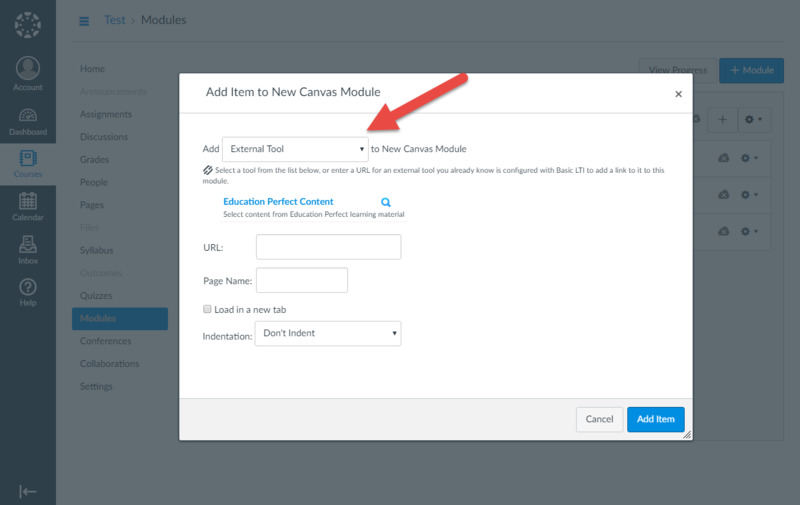 If you would like to embed an existing lesson, task or assessment in Canvas you will need to do so in a Module, rather than in a Page.